Scouting is critical to helping make management decisions that will ultimately increase profitability. Early rounds of scouting should look for emergence, stand and uniformity, early seedling diseases and weeds. Scouting often is essential to catching early season problems. Soon after soybeans emerge the first task is to scout for emergence, stand and uniformity. Stand estimates are important to making replant decisions. To estimate the number of plants per acre, a number of methods can be used. One common way is to count plants in a row. To determine stand using this method, count the number of plants in a row equal to 1/1000th of an acre. 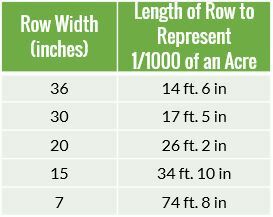 Reference the chart below or use the formula to determine the length of row to use. Adapted from the Purdue Corn & Soybean Field Guide (Extension Publication ID-179). Make five to ten counts from different areas of the field, average these and multiply by 1,000 to get the plant population per acre. Another common way is the hula hoop method. To determine stand using this method toss a hula hoop (or any perfectly round hoop, like a circle piece of wire or a barrel hoop) with a known diameter into a random location of the field and count the number of plants in the hoop. Do this five to ten times across different areas of the field and average these. 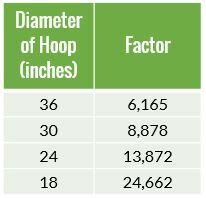 Then multiply the average by the appropriate factor in the table below or use the formula to calculate the appropriate factor. Adapted from Purdue Soybean Production Systems (Extension Publication SPS104-W). Remember: The radius of a circle is half the diameter. Regardless of the method used, be sure to count only live plants. Plants with stems broken off below the cotyledons should be considered dead. Some leaf damage can be tolerated, but plants with stem damage may or may not survive. 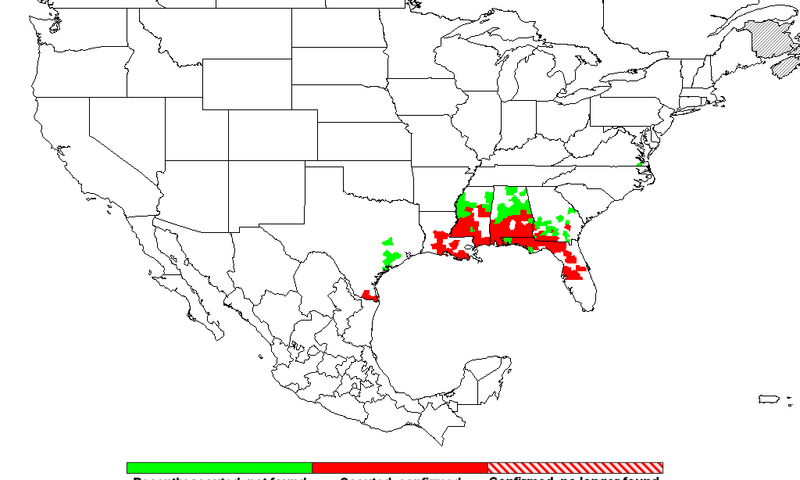 Once the estimated stands are determined, decisions about replanting can be made. Soybeans have the unique ability to compensate for low stands and they produce similar yields across a range of plant populations. 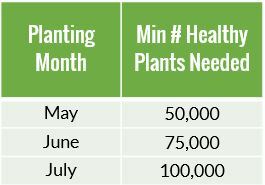 The chart below shows the minimum number of healthy, uniformly spaced plants needed to avoid replanting. 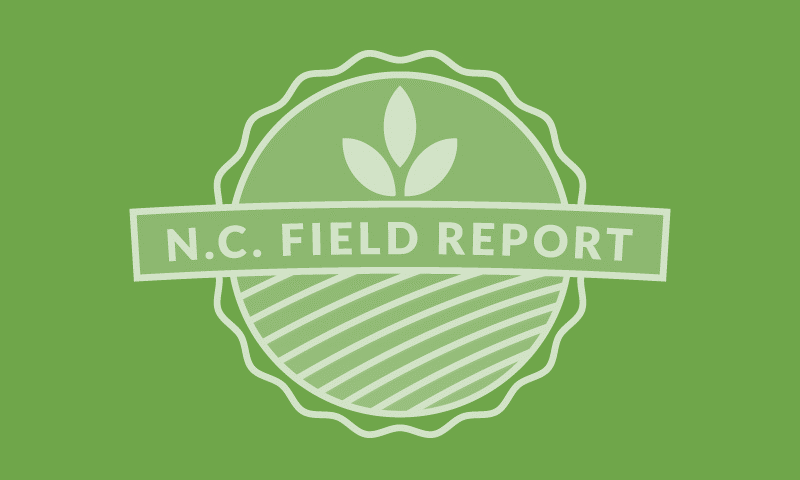 Recommendations based on data collected across multiple North Carolina environments by Dr. Jim Dunphy. While in the field evaluating stands, it is also a good idea to take note of any seedling disease that may be present. 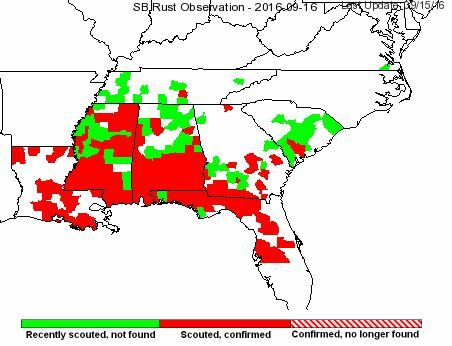 Pythium, Phytophthora, Rhizoctonia, and Fusarium are common soybean seedling diseases. 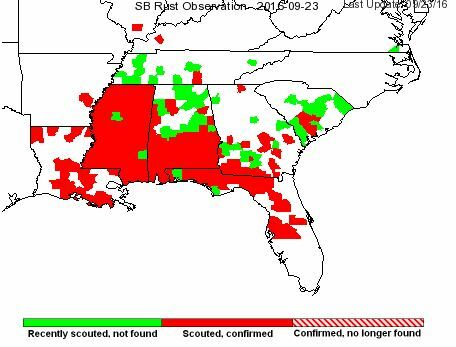 All are most common in wet, poorly drained soil or areas where there are high levels of residue. Symptoms of these diseases inculde seed decay, wilting, and stem and root necrosis. Pythium and Fusarium are most likely to occur when soil temperatures are cooler while Phytophthora and Rhizoctonia are more likely to occur when soils are warmer. Seedling diseases are best managed through sound planting practices that reduce stress and fungicide seed treatments. 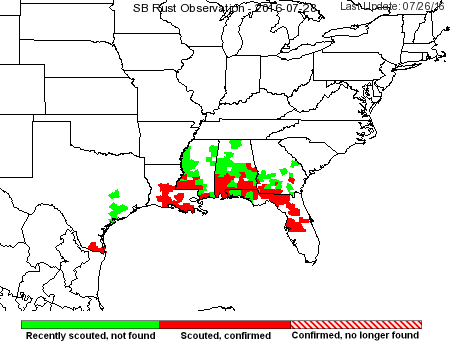 Since pathogens that attack soybean seedlings survive in the soil and in residual plant material, it is best to note fields where there may be a high incidence of seedling disease. Consider using a fungicide seed treatment in these fields next season. Scouting for early season weeds is important to protect the soybean yield. The sooner weeds are treated after they emerge, the higher the chance of killing them. Stay vigilant while soybeans are in the early vegetative stages of growth to keep on top of weed control. Post-emergence applications should be made in a timely manner, before weeds reach 4 inches tall. In addition, scouting is critical to noticing any herbicide failure. Identifying potential herbicide-resistant weed populations early is critical to getting them under control. Contact a local extension agent if a population is suspected to have resistance to herbicides other than glyphosate.